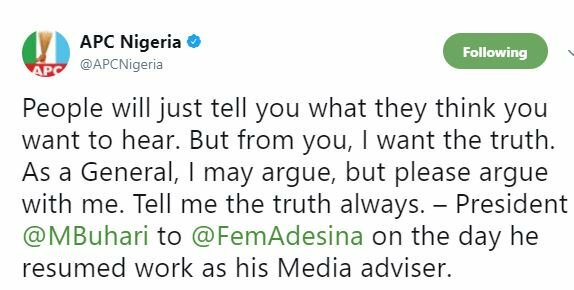 2 years after, the decision party in Nigeria APC just uncovered a bit of what President Buhari told his media assistant, Femi Adesina when he continued. The tweet peruses, “People will just tell you what they think you want to hear. But from you, I want the truth. As a General, I may argue, but please argue with me. Tell me the truth always. 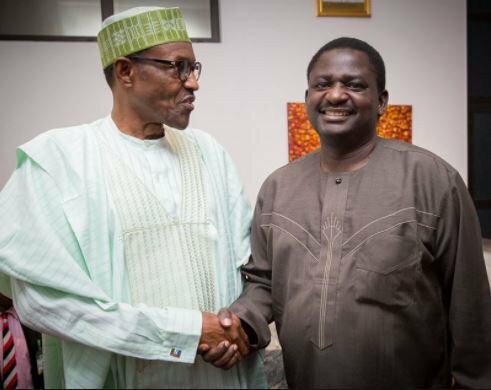 – President @MBuhari to @FemAdesina on the day he resumed work as his Media adviser”.